As an art historian and a museum worker, it’s hard for me to separate museum visits from my background in the vast expanse of European history, drama, and art or from the museum career I’m pursuing. When I visit a museum, I’m especially curious to see how curators present their collections. What are they trying convey? I’m also interested in interpretation. Is the visitor given an opportunity to interpret for themselves? I want to see how educators have equipped galleries with hands-on experiences. Are they successful? Do they detract from the exhibition? I enjoy exploring how museums around the world are innovating and creating to bring art to their publics, but sometimes it starts to feel like work. 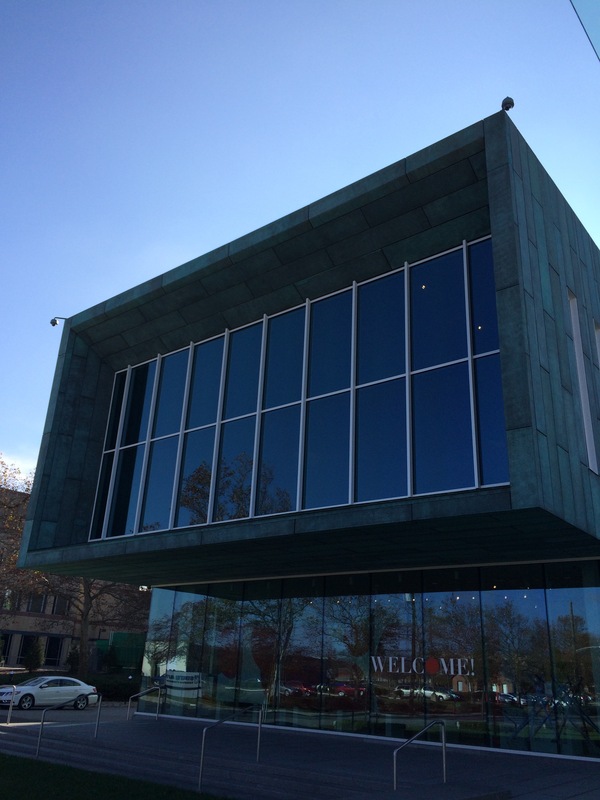 I wanted my trip to the Columbus Museum of Art – recently remodeled and reopened – to be different. I wanted to approach the museum experience for this review as an engaged and curious visitor, an admirer of the arts, rather than a museum worker sniffing for the next innovative technique. The museum’s large and easily accessible parking lot greeted me as I arrived at the CMA in downtown Columbus, Ohio on a brisk Saturday morning. Having just opened, the sun was throwing the museum’s block-like structure into a dark silhouette. Shading my eyes as I rounded the corner, an expanse of turquoise copper panels and reflecting windows floated in front of me. 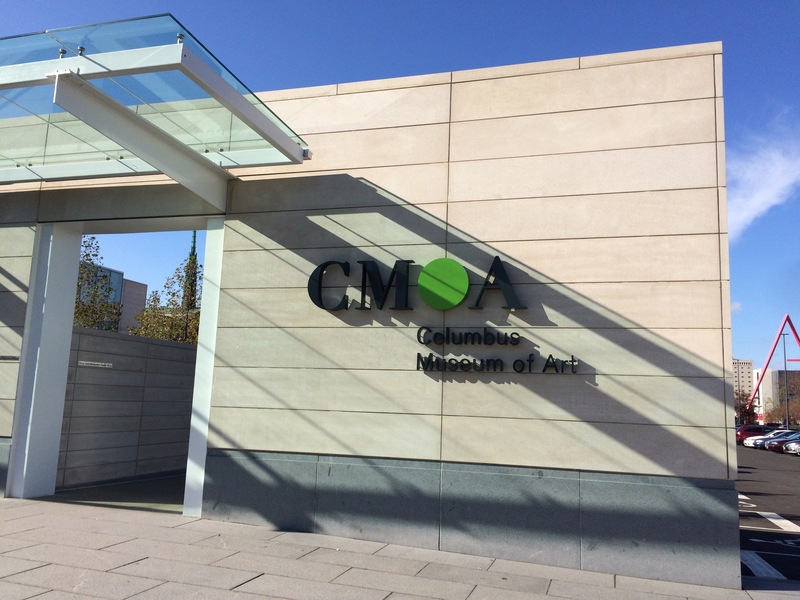 As far as museum entrances go, the CMA has the advantage of an approach; one can step back and see the whole building. You’ll pause for a picture. Once inside, the airy, cheerful lobby is filled with ambient light. Noting the sleek café to my right and a well-stocked gift shop on my left, I paid my $8 student fee and grabbed a map. Still entranced by the lobby, I missed what the helpful person behind the desk said about directions. Usually, when I visit a museum for the first time, I scout the map first to ensure I don’t miss anything. I wanted this trip to be different, however, so I stowed the map and let the museum naturally guide me through her belly. There is plenty of seating in the galleries, which is great! The museum didn’t lead me astray, for the most part. I was able to find all the galleries with relative ease, only nearly missing the education and interactive Wonder Room at the end. New and old building meet in a way that is obvious but not obtrusive. I wandered, but did not get lost. A helpful guide did have to point me to the Suspended Barrel, but that’s why he was there. In this way, the museum’s new space is certainly successful. After starting in Paul Feeley’s retrospective, I learned about the city’s art collecting past with an exhibition about the Pace Gallery and Eva Glimcher. I experienced contemporary works by a diverse crowd of artists before finding myself in the second half of Paul Feeley’s retrospective. I was surprised, and a little discomfited: the building had tricked me into taking the wrong staircase. 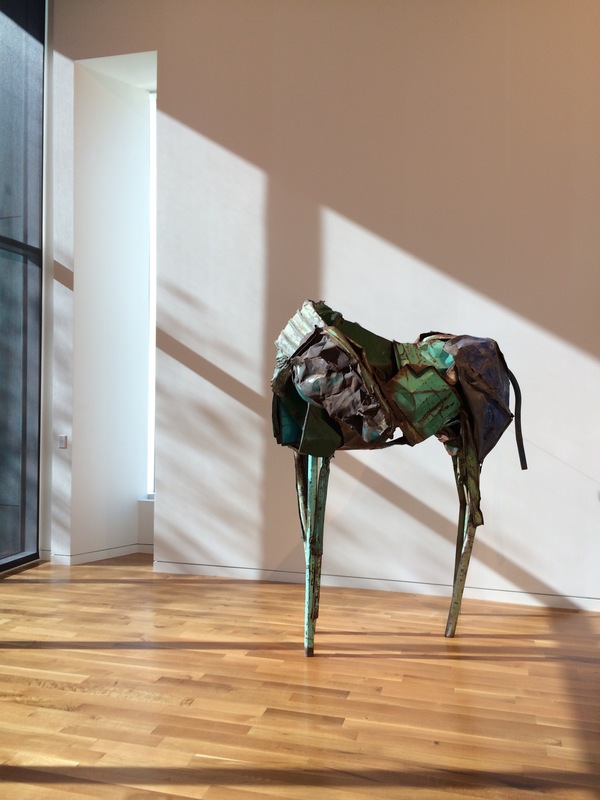 While the new building provides a sleek, open, airy space for huge abstract works, boxy sculptures, and multi-media pieces, the old building stands staunchly Museum. Nevertheless, the original building was surprisingly easy to navigate, considering art museums are notoriously confusing. As different in the design of the buildings themselves, the art they hold is similarly contrasting. This isn’t surprising; the addition was clearly built with the thought of contemporary art and exhibition space in mind. It isn’t just the type of art that differs drastically one side of the museum to the other, however, it’s the way the art is presented. I was repeatedly frustrated in the new addition’s modern and contemporary spaces because there’s no information about specific pieces. After reading a sparse label for the entire contemporary gallery, I found myself facing a massive statue. 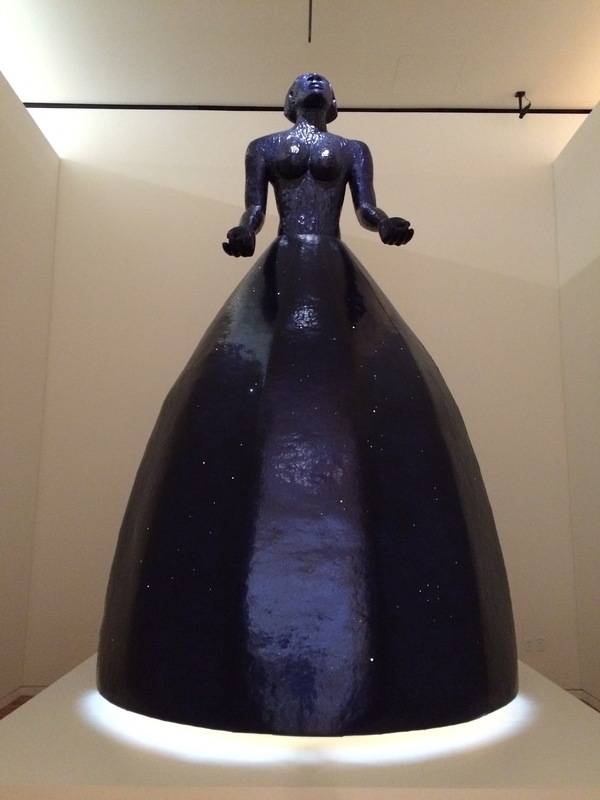 Made of sheet metal, pierced with holes so they shine like constellations, a woman in a broad skirt raises her head and her palms skyward. She is stirring in her private room, shadowed by the close walls, which enhance her presence. The curator chose a Kehinde Wiley painting for the spot right outside my Stargazer’s door. (Wiley borrows imagery of European royalty in heroic poses and supplants their visages with dark-skinned peoples he meets from around the world.) My Stargazer has a broad nose, full lips, and tightly curled hair – stereotypical features of an African woman. Is she a slave looking to the stars for guidance in her escape? I wondered to myself as I walked slowly around her base. Or am I just being racist? Frantically, I walked in circles looking for any information on this piece. All I found was the measly: Alison Saar, Nocturne Navigator, 1998. Good luck finding information specific to the piece with a quick internet search. For me, this was not ideal. While I appreciate experiencing the art and the importance of interpreting it for myself, knowing what the artist wants me to see helps enhance my encounter. I think providing such minimal information especially puts those without the privileged knowledge of art and history at a distinct disadvantage. It’s alienating. An opportunity was lost here to share the artist’s message and purpose with a visitor who wanted to know. This lack of interpretation aid and guidance in the new addition is what made the style of chats and labels so surprising in the other half of the museum. 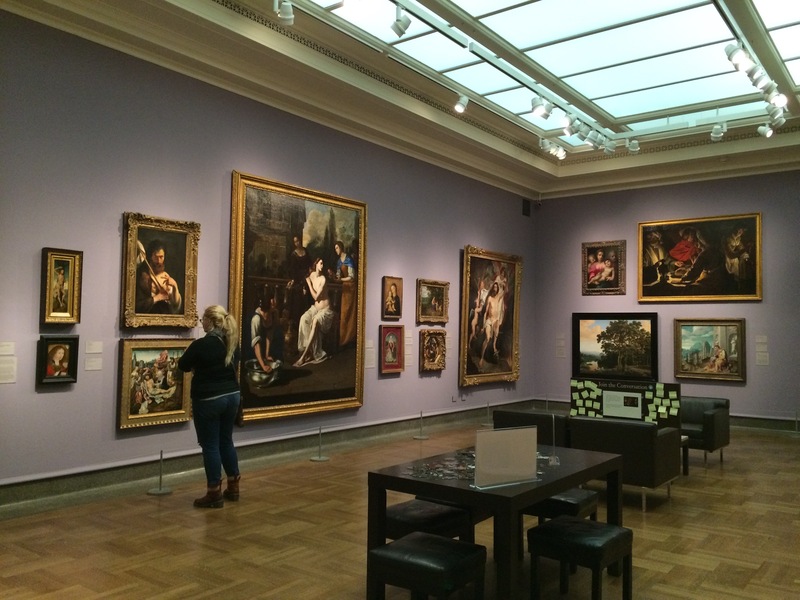 Notice how the paintings are hung ‘salon’ style, vertically, instead of only row of paintings around the room. Also, there are gilded paintings from the 1300s with vividly realistic works from the 1700s right next to each other! Where more traditional artworks from America and Europe graced the muted walls of the traditional half of the Columbus Museum of Art, wall labels asked visitors to consider the theme of each room. What does it make you feel? Can you see how these images are connected? The chats were absolutely brilliant. Providing some historical insight and context, they fulfilled the museum mission to be educational. The writer doesn’t dwell on facts, however, rather he or she introduces a theme succinctly and leaves the viewer with an idea to ponder while they gaze upon the art. Engaging yet insightful, creative yet simple, the chats allow even the most novice museum-goer a chance to commune with the art. That the galleries are organized thematically instead of by movement, is another striking break from traditional museum practice. 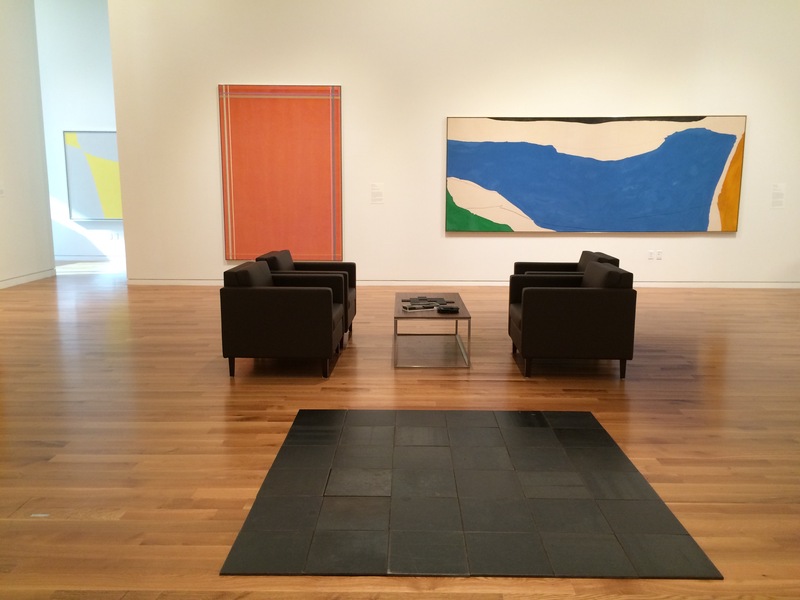 While an argument can be made for both the success and the downfalls of this arrangement, the CMA certainly provides a captivating method of viewing art. Similarly captivating is the CMA’s approach to museum education, which can be glimpsed by any visitor who wanders through the galleries sprinkled with hands-on activities. The CMA’s educational prowess culminates, however, in the Wonder Room. 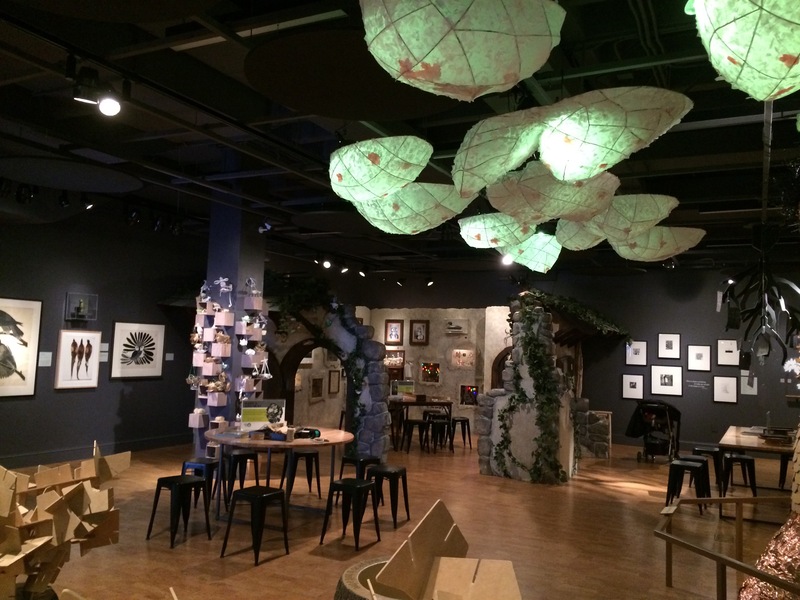 Burrow-like with dimmed lighting, nooks, and tree stumps, a visitor could get lost in a hands-on creative experiment for hours. It’s tucked into the center of the museum and surprisingly easy to miss if you’re not looking for it, so look for it! Though a little exhausted from touring the entire museum in a morning – my whole journey took about 2 hours – there was a skip in my step as I walked back into the chilly Ohio air. 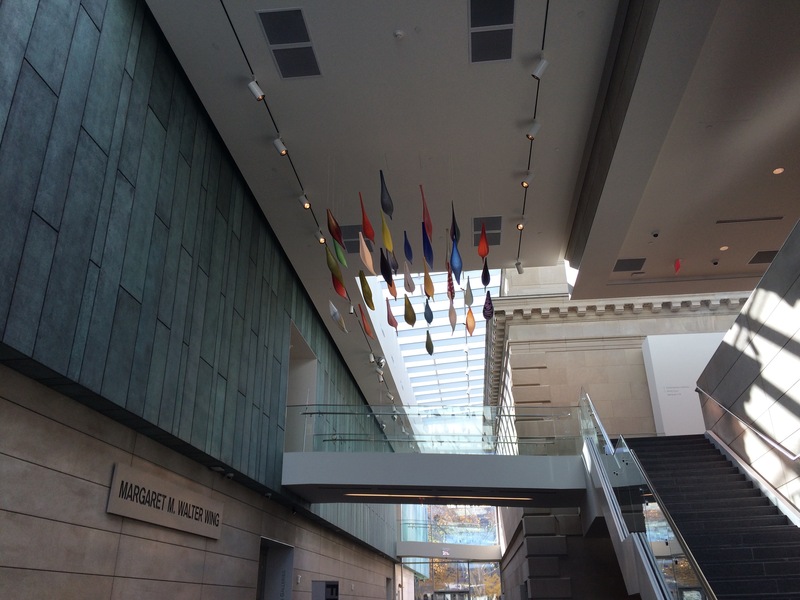 The Columbus Museum of Art had provided entertainment, education and even stirred emotions because they look at art, differently. I spent time in an architectural space which, while rectangular, is reminiscent of a cloud. I was introduced to new art and artists, my curiosity was piqued. I was inspired. For $8, it was a pretty lovely way to spend a morning.